Hello Sweet People! 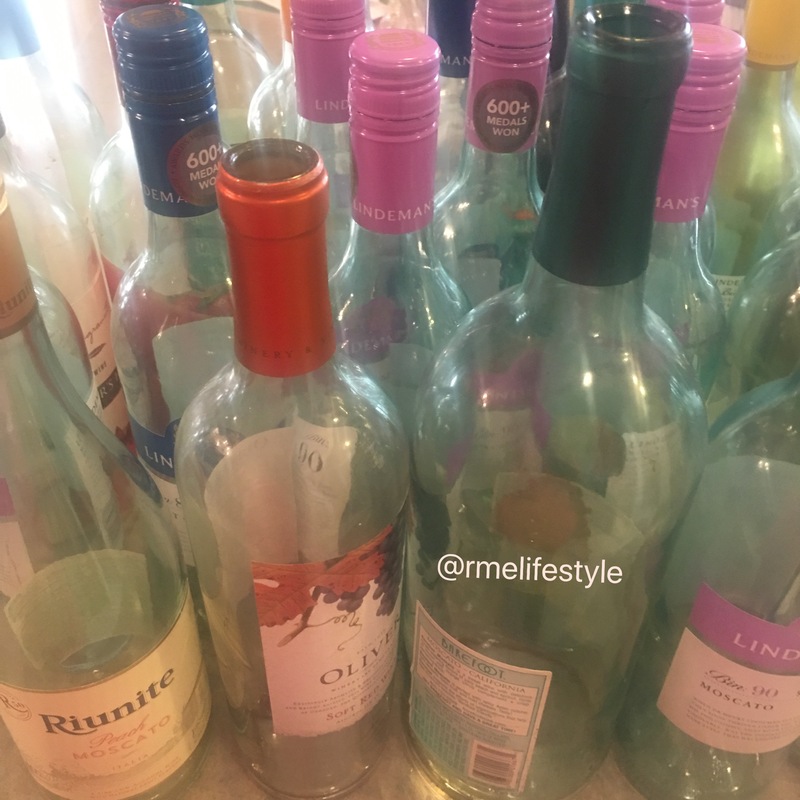 So I know this looks crazy, but, after I’m done enjoying a good ole bottle of Wine, I never throw them away. For some strange reason, my spirit wouldn’t let me! Call me a very neat, mini hoarder, but I just knew at some point I could recycle these, so I lined up each one of them neatly in a storage room, and just waited for my AHA MOMENT to arrive. At first I thought, maybe I should cut these in half and use the base to pour candle wax in, maybe I still can, but, Nooooooo, my spirit has led me to stripe them down, clean them up, then locate some beautiful stems to add to them. Maybe I will even re-label them with my initials RME, who knows, but I’m putting you all on notice, I shall return with some gorgeous spring results! S/N: I have a lot of aha moments, so I’m trained to stand still until they arrive.